Melbourne's newest hidden laneway bar - behind the iconic GPO, decend into another world of blues, cocktails, French bar food and epic wine till very late. This elegantly designed space is suitable for a range of events and occasions. Whether you're organising a corporate gathering or arranging an engagement party, our staff will work with you to create a memorable evening that is tailored to your needs. If you're planning a gathering for 12 or more people then contact us here, otherwise come on down to the bar and let us take care of you on the night. 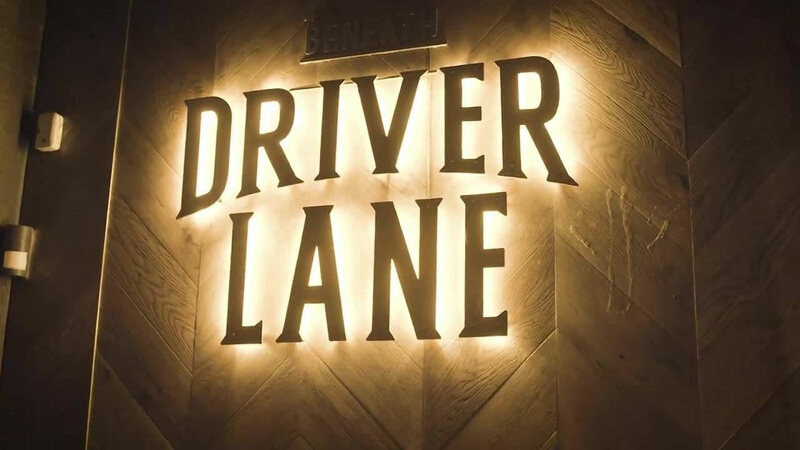 Owner Hamish Goonetilleke was sure of one thing, Beneath Driver Lane wasn't going to be one of those melancholy, stare-deep-into-your-glass type blues bars. This place was going to ROCK. Hamish is no stranger to bars with a bit of atmosphere. His other venture, The Rum Diary, is one of Brunswick St's best late-night haunts. Beneath Driver Lane is his latest pet project, and you can tell he's pretty psyched. And why the hell not? It's not everyday a space like this comes up: a subterranean bank vault, beneath the old Money Order Office. When Hamish and the team blasted the paint off the walls down here, they found red brick so thick and heavy that almost no sound escapes up the stairs to Driver Ln. Beneath Driver Lane has the feel of a future Melbourne classic. Hamish modelled the space on the grungy blues bars of New Orleans, even the late night music haunts of Paris. There's a bunch of dark, round timber tables scattered across the central space, and around the edge you'll find private drinking booths, each with a cheeky 'Service' button on the wall. Flick the switch and a light pings on above. Over hustles your waiter, carrying some of the best cocktails we've tried all year. The bar is better stocked than your average Dan Murphys, and there's a definite lean towards small batch whisky, gin and imported rum. Head bartender Johnathan Miniham spent over four years manning The Toff, and he's put together a killer little list. If you're after recommendations, try the Bramble: made from Bombay gin, lemon sugar, Crème de Mure and lemon slice (yep, really). The Bourbon Smash is another best-seller: a tart mix of Buffalo Trace Bourbon, Cranberry juice, bitters, raspberries and mint. If you can't tell already, we're quietly obsessed with this place. It's got 'new CBD regular' written all over it.